UPDATE: Triple J’s Hottest 100 is underway, and Taylor Swift has officially been disqualified. Keep up to date with live updates and milestones here. The #Tay4Hottest100 saga continues, with a leaked email reportedly revealing triple j staff have been told not to publicly (or even privately) discuss the social media campaign to get Taylor Swift’s Shake It Off into the station’s Hottest 100 of 2014. An email (below), reportedly written by triple j station manager Chris Scaddan, has been leaked to Buzzfeed, the publication partly responsible for promoting #Tay4Hottest100. In the email, Scaddan reminds triple j staff that their lips are sealed when it comes to the eligibility of Tay Tay’s song in this year’s Hottest 100. “Just a reminder, we’re not commenting on the Taylor Swift campaign. That means you’re not commenting if you get hit up directly. To media, friends, family…,” the email reads. “Let us know if media are hassling you though. We’ll get to them eventually,” it adds. The email closes with an interestingly worded line regarding the Hottest 100 of 2014, which will be revealed and broadcast on triple j this Australia Day – Monday, 26th January. “Don’t worry… It will all become clear when we get to the countdown next Monday,” the email reads, suggesting the station may have formulated or may be formulating a plan of action. Cheekily, the email then adds, “That was not a comment,” suggesting triple j may still be unsure of what action to take. It’s clear that whatever happens, a section of the Australian music community will be disappointed, and perhaps even angered by triple j‘s actions on Monday. If Shake It Off makes its way into the Hottest 100 without ever being played on triple j, regular listeners will be disillusioned. If it doesn’t, the Swiftys will have have their voices (actually, mainly their tweets) heard. Guardian Australian have now submitted a freedom of information request to the ABC, calling for a response to the #Tay4Hottest100 campaign. It’s still unclear as to whether or not that request will be granted. Former triple j presenter Angela Catterns said Monday that Shake It Off had been disqualified because of the involvement of a fast food chain. The chain in question appears to be KFC, who shared a #Tay4Hottest100 promotion (below) on their Facebook page, which has since been deleted. Following deletion of the post, KFC explained their actions via Facebook. “We know many of our fans are music lovers and our recent post has caused a bit of a stir so to avoid any more confusion we have taken it down,” KFC wrote. “The post simply asked our fans to tell us what their favourite Taylor Swift song was for the opportunity to win a voucher and we were not incentivising people to vote for her in the Hottest 100.” View the post, below. Regarding the possible disqualification of Shake It Off, a spokeswoman for triple j told BuzzFeed News, “We have no comment at this time.” Buzzfeed have suggested disqualification would be unlikely “because the KFC post does not include telling people to vote for Taylor Swift in the Hottest 100 in return for money”. A number of Australian artists have contributed their two cents to the debate surrounding #Tay4Hottest100, including The Preatures, Urthboy, Flight Facilities and Peking Duk. UPDATE 21/01/15: Former triple j presenter Angela Catterns says she “may have spoken too soon” about Swift’s disqualification from the Hottest 100. 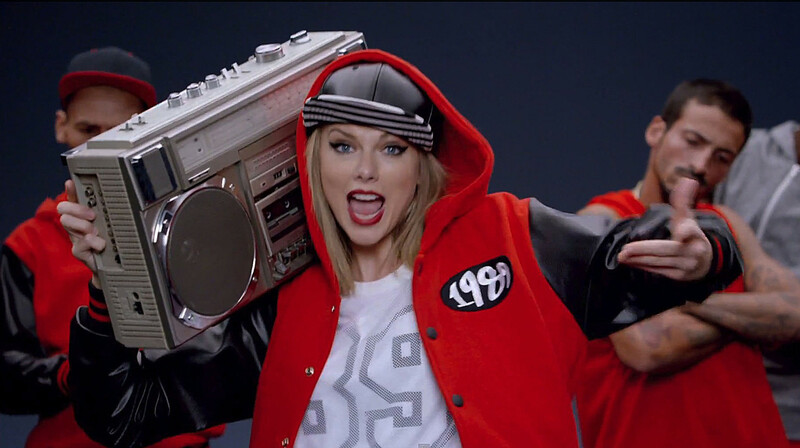 UPDATE 26/01/15: Triple J’s Hottest 100 is underway, and Taylor Swift has officially been disqualified. Keep up to date with live updates and milestones here.